Building a brighter future for our clients. At Intense Behavioral Services, we recognize that every client deserves to be treated with dignity and respect. Whether we provide therapy services or address client questions and concerns, we ensure that every aspect of their individual care needs and concerns are covered. We are dedicated and passionately committed to assisting those in the autistic community. In our commitment towards consistently improving our services, we utilize only evidence-based techniques and programs to obtain optimum functional treatment for the clients and their families. Intense Behavioral Services is a leading autism service company located in New Jersey. 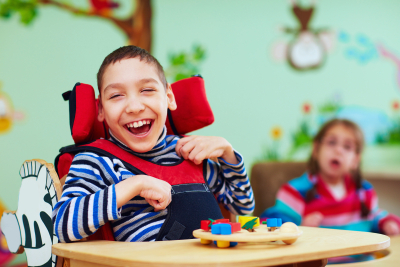 We provide in-home and community-based ABA services to children and adults. Our goal is to provide high-quality services to our clients and embrace challenges in our field, facilitating change in the lives of families. We were built on the perspectives of fulfilling the needs of clients with behavioral difficulties and dedicate our practice to the needs of clients with multiple disabilities, including the severely autistic. In the near future, we will continue to address the needs of adults, children, and families with Autism, and provide therapeutic environments that foster care and safety for children and adults. Our staff consists of professionals with decades of experience in the field of Applied Behavioral Analysis (ABA) with diversity in our staff to meet the needs of individual clients and families. We consider ourselves a family organization of professionals willing and capable of enduring the challenges faced by families who suffer from Autism Spectrum Disorders and many other mental health challenges. If you wish to learn more about our advocacy, contact us at 201-434-4240.